Toronto's Crispin Duenas found himself in familiar territory in Friday’s qualification round at the Rio Olympics, placing 18th among 64 athletes after placing 16th and eighth, respectively, in the ranking round at the Beijing Games in 2008 and London in 2012. 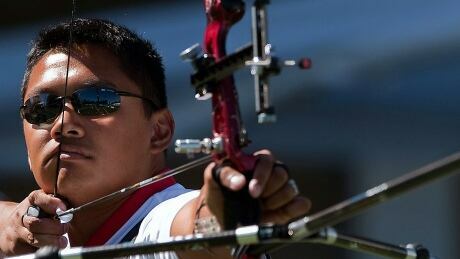 A lifelong perfectionist, Canadian archer Crispin Duenas will shoot for a podium finish in Rio, his third Summer Olympics. CBCSports.ca talked to Duenas about learning to be the best he could be at a young age and the misconceptions about archery. 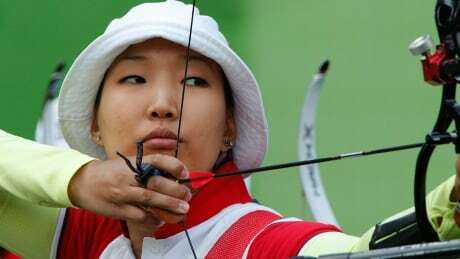 The international archery federation has approved the entry of three Russian archers for the Olympics in Rio de Janeiro after determining they have no links to doping. You are currently browsing the archives for the Sports/Olympics/Rio Olympic 2016/Archery category.